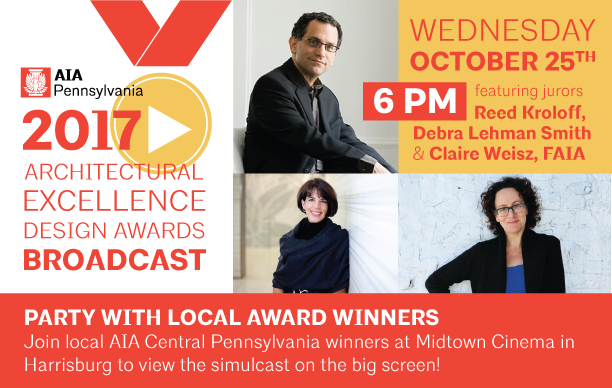 Join local AIA Central Pennsylvania winners at Midtown Cinema in Harrisburg to view the simulcast on the big screen! Free parking is available in the lot on the west side of our building as well as directly against the building on the east side. Parking on Reily Street is free, unmetered and non-permitted directly in front of our doors and westward (toward the river) on Reily. Spaces directly in front of HACC and Campus Square, however, are metered until 7pm Mon-Sat (free anytime on Sunday). Register below by Oct. 23.